Even our peameal is cook differently. 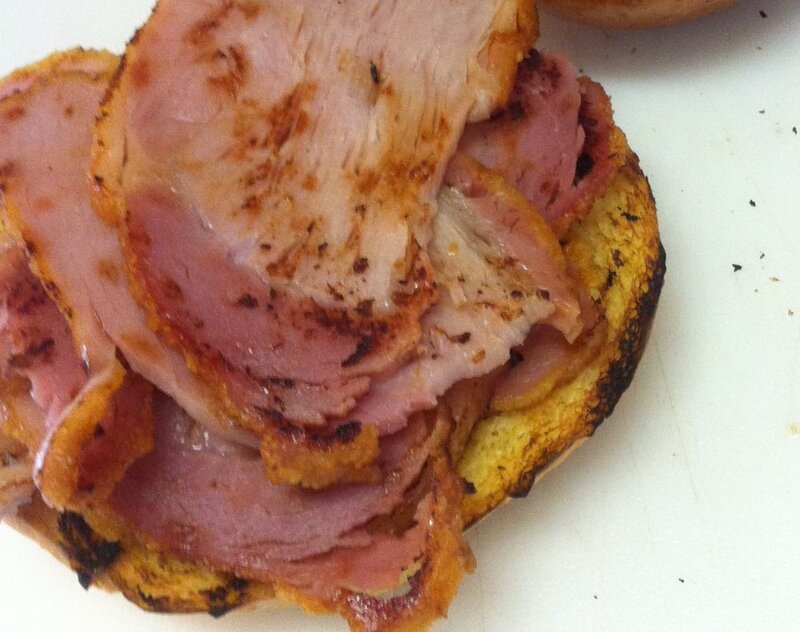 It’s fashioned from the famous peameal on a bun from the St. Lawrence market. Back in the day, I would drive all the way to Toronto just to have one. We start with five to seven pound peameal roasts. Then each one is bathed in honey and maple syrup. Man, that sounds just so good. The peameal is covered and cooked low and slow, letting the honey and maple syrup penetrate the meat. After it settles, the peameal is sliced thick and stacked on to our custom egg washed bun. Top it off with Ricks own honey mustard sauce and sit back and enjoy.